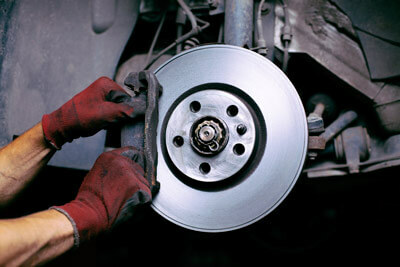 Harry’s Tire is your source in the Auburn, NY area for professional brake repair and maintenance. Your satisfaction and convenience are our top priorities, and you can count on us to deliver quality service and courteous, personalized attention every time you come in. With no appointments necessary and no wait time, a visit to Harry’s Tire is always quick and convenient. Our friendly technicians will quickly diagnose any problems with your brake system and offer you an honest evaluation of the needed repairs. We work hard to earn and keep your trust, so you can expect complete transparency at Harry’s Tire. Your brakes are a critically important safety component of your vehicle, and you need to be confident that they function properly at all times. Driving a vehicle with poorly maintained brakes puts not only your safety at risk, but also the safety of any passengers in your car and other motorists and pedestrians on the road. Your brakes will often give out warning signals when repairs are needed, so look out for reduced responsiveness, pulling to one side when braking, squealing, grinding, growling, or vibration. Your brake system may or may not give off noticeable signals when repairs are needed, so you should bring your vehicle to an expert to have your brake system checked on a routine basis. Having your system checked every 10,000 miles will allow you to replace worn-out or broken components before they have the chance to cause extensive damage. Our rates are extremely competitive, and we can work on any make or model vehicle, even high-end and imported cars. Keeping your brakes in excellent condition is imperative for your safety, so bring your vehicle to our expert team at Harry’s Tire today.